Yet another announcement in the Canberra Times with no funding attached, even better, its a hand-out request to Infrastructure Australia - again. 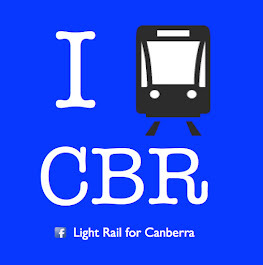 The story in the Canberra Times is headed 'Light Rail bid pushes for Federal funding'. This is an optimistic spin on the reality. When you go to the ACT Treasury website and read the actual IA submission document, its calling for lightrail or bus rapid transit. However, the Minister has spun this in the media as a light rail announcement. The Canberra Times article is uncritical and asks no questions, accepting the 'spin'. Can I just remind people that the Light Rail bid to Infrastructure Australia from 2009 - is not referenced ONCE in the ACT Transport Planning 2011-2031 document. Not once. Its been entirely abandoned. So let us all wait until June 2012 - conveniently just before the ACT Assembly election, and see what the outcome of this latest exercise is.